This article discusses various aspects of phone numbers, starting with history. Other topics include the plus sign (+) for international phone numbers, international exit codes, country codes, national conventions for telephone numbers, the North American numbering plan, US area codes, and call forwarding phone numbers. In 1879, people began using the first telephone numbers in Lowell, Massachusetts. From the 1920s until the 1960s in North America, phone numbers were a combination of letters and numbers, and the first three characters of the phone number related to the geographical location of the exchange. US movies, television, or books used KLondike 5 (after the 1960s, 555) and QUincy 5 (because there is no “Q” on the telephone dial) for fictitious phone numbers. Since the 1960’s, US phone numbers consist of ten digits, three for area code, three for exchange, and four for the specific number. 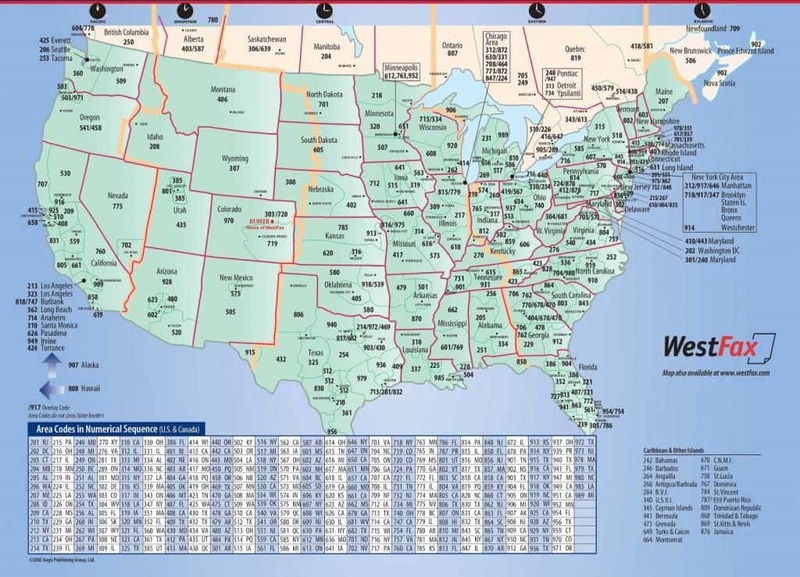 The following graphic is an area code map for the US. After filling out a selection box with the calling and destination countries, the site displays dialing instructions. For example, when entering the phone number for a call from France to Argentina, enter the exit code (00), the country code (54), the city code, and the number. The website, HowtoCallAbroad.com, is an international calling guide. This guide has a table of country codes, exit codes, and trunk codes that precede the phone number when dialing a call. Trunk codes are single or double-digit codes that people dial when calling long distance within a country. For example, on US landlines, one must dial “1” before the area code and phone number. A phone number in Italy has a country code, a two- or three-digit city code, and two sets of four digits. Therefore, a phone number in Rome, Italy would look like +39 06 n1n2n3n4 n5n6n7n8. The plus sign is a reminder to enter the exit code before the phone number. For example, if the call originated in Denmark, the caller would dial 00 39 06 n1n2n3n4 n5n6n7n8, or from Canada, 011 39 06 n1n2n3n4 n5n6n7n8. If the caller is using a cellphone or dialing from a computer, they can enter the plus sign instead of the exit code since wireless and computer networks recognize the call as international. The format and length of phone numbers is determined by each country. The Wikipedia website entitled, National Conventions for Writing Telephone Numbers gives a sampling of phone numbers around the world. The International Telecommunications Union sector ITU-T has issued a standard, E.123, to recommend formats for phone numbers, email addresses, and web addresses. The international format for telephone numbers uses spaces to separate groups of numbers. However, national conventions may require the use of hyphens. The North American Numbering Plan (NANP) covers 25 distinct regions of North America, the Caribbean, and in US Territories. Twenty countries participate in NANP. The distinct regions each have 3-digit area codes. The plan also specifies some common specialty phone numbers. There are also special codes, two examples of which are *66 and 1166 to keep retrying a busy line and *70 or 1170 to cancel call waiting on a call-by-call basis. While these numbers are free to callers, GCF charges the subscriber for the service. There are six different area codes for 800 numbers: 800, 888, 877, 866, 855, and 844. Vanity numbers have an easily remembered sequence of characters such as 1-800-TAXICAB or 1-800-GET HELP. GCF sells local phone numbers throughout the world. Subscribers select their preferred location for the number. It gives them a virtual office in that locality.